THE BRITISH RAILWAY STORIES LTD: "Project Malta"
It's one of the Malta Railway Manning Wardle steam locomotives. Withdrawn in 1930, the trio of 0-6-0Ts were all scrapped. 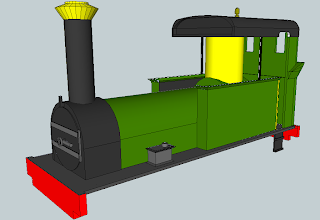 The bodyshell is being designed to fit onto a "Toby the Tram Engine" Hornby chassis, complete with appropriate cylinders and valve gear, thereafter. The prototype bodyshell will be finished this week, with any luck, and a test sample ordered soon after. Then - as with the sentinel - it's a case of fixing the problems with the mesh, and making it look better, before getting the next engineering sample and hopefully with minor alterations, completing the project. Chimney reworked, looks much closer to the prototype. Lamp irons added at front and rear. 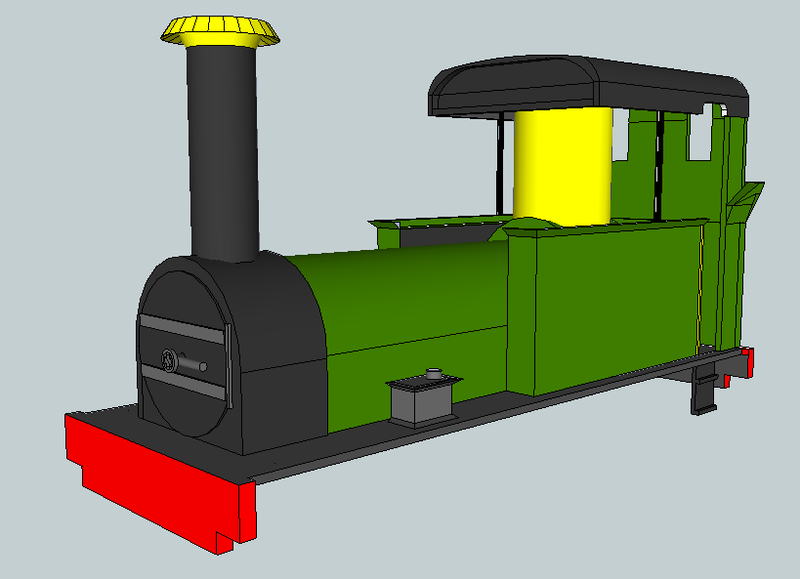 You can't see it in this pic - but the frames for the windows have been added, as has the whistle on the cab roof. Until next time - where normal service may be resumed, briefly, before the holidays!